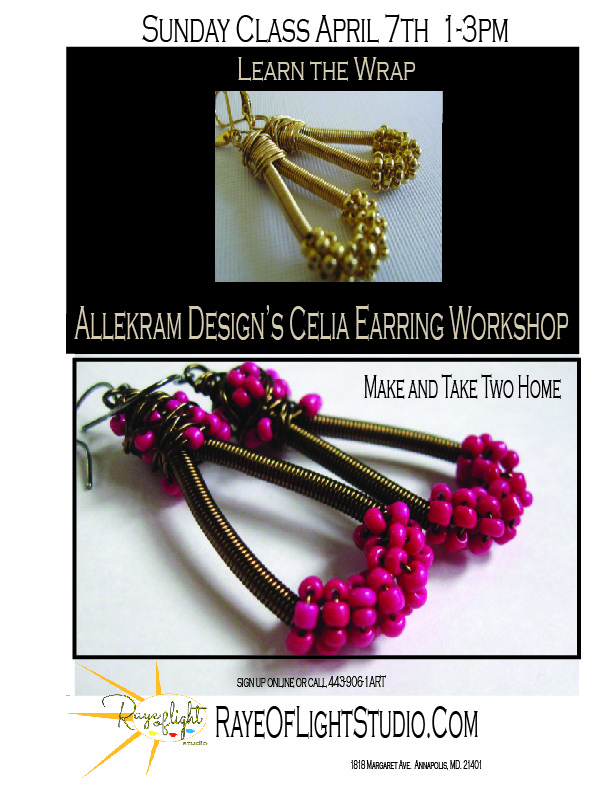 Last chance to make and take a few boho Celia earrings! Our guest Markella Magoulas is offering her workshop at a special time …Sunday April 7th . Come make and take your creations as you learn how to wrap. We provide all the materials and tools to make two sets of your choice designs. This will be the last chance to make jewelry with Markella until the fall so don’t miss it!